J.P Gallagher Construction, Inc. was founded by Jack Gallagher in 1991. We are a family owned business that is managed by Jack Gallagher and Ryan Gallagher. Our father and son team both have their business degrees and are licensed general and flooring contractors. We are fully licensed, bonded, and insured. Our specialty is remodeling and insurance restoration. We offer fire and water damage restoration, whole house repainting, and bathroom and kitchen remodeling in Sacramento, CA. As full service general contractors with over 35 years of experience, we complete our projects on time and within budget. J.P. Gallagher is the central valley’s most trusted insurance restoration contractor. We can handle all of your water/fire restoration needs. If a fire has damaged your home or business, we have the team of experts to restore it with speed and accuracy. No matter the type of damage, including water, fire, smoke or collision, we are the one to call. Founded in Woodland, Ca. in 1975, Monley Cronin, Inc. has become one of the premier builders in the Yolo, Sacramento, and Solano area. We are a general contracting construction company dedicated to quality, value and client satisfaction. Our scope of services include Custom Homes, Remodeling, Light Commercial and tenant improvement projects as well as design and development of site services. Our company has been dedicated to providing quality construction services while striving to complete every project with integrity, quality and efficiency. The business began over 40 years ago with its focus on “high end” custom remodels. The jobs became larger and more detailed and by 1983 the company had become recognized (Street of Dreams, BIA Tour Awards) as a distinguished builder of quality custom homes. With our extensive experience in building custom homes since that formative time, Monley Cronin, Inc. offers a carefully developed and efficient process for moving a new home project from the early design stage to the final focus on each last detail. Project management, both in the office and in the field, receives personal attention from a skilled and experienced staff. We have maintained our commitment to both Custom Home Design and Construction, and Custom Residential Remodeling. We take great pride in being involved in the construction and renovation of our historic downtowns and with the business community in serving the needs of light commercial throughout the area. We have been involved in the design and construction of professional buildings, restaurants, agricultural seed development and research campuses, student living complexes, multi-housing developments, and tenant improvement projects throughout the Yolo, Solano, and Sacramento area. Design, Build, Remodel. 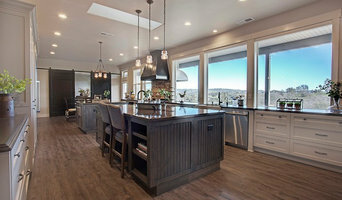 Based in northern California, we are 5th generation Custom Home Builders and Home Remodelers serving Sacramento communities and bringing European Craftsmanship since 1992. Extensive experience in Kitchen & Bath Remodel, Additions, New Construction, Energy Efficient Build. Integrity, Quality and Fair Pricing is our Core belief. Investing money in your House should always be done with the utmost care and planning, and here at Core, we are committed to help you understand the process and how to get the most return on your Investment. We Love creating comfortable, functional, energy efficient spaces that will house your family. This will give you peace of mind that your newly built/remodeled space will be safe and enjoyed for many years to come. To protect you and your property, we are fully Bonded, Insured, and all of our employees and Sub-Contractors have passed criminal background checks. We are looking forward to working with you on whatever your next Home project may be. Darko Borovnica, Certified Green Building Professional Certified Green Builder, in business for over 25 yrs. Design, Build, Remodel. Consulting, Project Management. General contractor specializing in design build remodels and home additions. 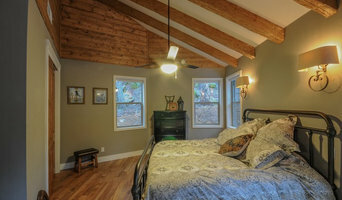 Sacramento & El Dorado County's Fine Custom Homes for over 40 years! 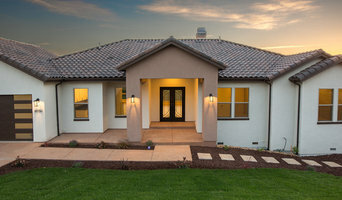 ESI Builders is a subsidiary of EnergyWise Solutions, Inc. and was formed by Allan, Bob and Dave to fulfill an important need for quality home builders and remodeling services in the Sacramento region. 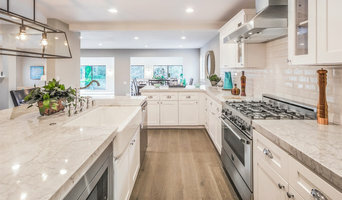 With a strong and growing referral base, we decided to provide a convenient one-stop option for our clients and focus on combining our key services: quality custom homes and remodels, turnkey client partnering and communication, and energy efficient and environmentally sustainable measures in all we do. Through energy efficient appliances and fixtures, solar power, high efficiency heating and cooling systems, enhanced insulation and sealing, and other construction elements – we go beyond simple code compliance and give you immediate savings and greater sustainability for your new or remodeled home. All of the design work and construction tasks for our clients are done by or supervised by our highly trained, professional staff. This not only saves you money, it provides a peace of mind that all of the details are taken care of and the job is being done right – to Perfection. Our service does not stop after we clean up and drive off. We continue to provide support for any warranty issues that arise and give you administrative support as needed in order to assure you obtain any energy-related tax incentives or rebates. This ‘One call does it all’ philosophy assures that your experience in remodeling or upgrading your home is an enjoyable one. ESI Builders was formed by professionals with varying backgrounds and a common interest to provide you, our clients, with options to live more comfortably, save money, and enjoy quality homes for many years to come. As our company continues to grow and evolve, the expertise has been quickly growing to include several job foreman, tradesmen, and support staff. In response to our growth, we will continue to hire well-qualified staff and we will remain committed to maintaining a level of quality, attention to detail, and pursuit of perfection. Lake Tahoe's Full-Service Custom Home Builder | Best of Houzz! At Heartwood Construction, we strive to help people get what they want. The construction business, our business, is a Service Industry Business. That means we are all here to SERVE you. At Heartwood, we believe that the HEART plays a big role in the process of that service. Following our hearts in every day interactions with people is our intention. We truly believe that staying in our hearts is the BEST policy to have. When you do business with the heart, money plays a factor, sure, but it doesn’t guide the process. What guides the process is need, compassion, empathy and understanding. This is especially true when a trauma such as a home burning down occurs. You have been through something that cannot be expressed to someone who hasn’t gone through it. How do you explain the loss, the fear or the destruction of your whole life and what you have held dear? Quite simply, you can’t, not to someone who doesn’t know. Here at Heartwood, we have been through the trauma of a home burning on several occasions as well as flood damage, trees falling, pipes bursting and a multitude of other events. We helped people get on with their lives in ways that supported and nurtured, and we believe we can do the same for you. Whether you’re undergoing home renovations or building from scratch, hiring the right home builder is essential. Your choice will determine the quality of craftsmanship, as well as how high your stress levels rise! 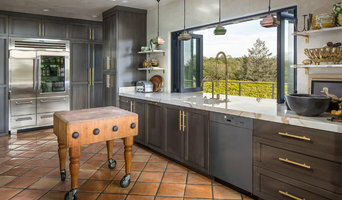 A home design or building project is a huge and multifaceted undertaking, so it’s important to find a local Sacramento, CA builder you can trust to bring your vision to life and keep the process under control. The Houzz professional directory of home builders is a great starting point to choose the right builder for your needs. What exactly do Sacramento, CA home builders do? Before any nails are hammered down, construction companies perform market research to determine whether the prospective site for a new home in Sacramento, CA makes sense. They also survey the land to make sure it is suitable for construction, and obtain any necessary California permits. Scroll through this page to find contractors in Sacramento, CA. Then, click on a professional to browse photos of their latest projects and see how their work compares to the scope of your project. Read reviews to see how other homeowners rate their work, and message the home builder or construction company directly to ask any specific questions.